Over eleven years ago, Sergeant Grace Warren fell in love with Patrolman Denise Carver. She thought their love was forever. When Grace returned home early one afternoon, she found Denise sharing her love and her body with two other women in their bed. That night, Grace kicked Denise out of her bed and out of her life forever. Flash forward nearly eleven years later. Sergeant Denise Carver receives an urgent call to see Grace in ICU. A lieutenant now, Grace has been badly wounded. While visiting Grace in ICU, Denise meets the child Grace named after her for the first time. Grace asks Denise to protect and care for the child she never knew. Will Grace be able to trust Denise with the one thing most precious to her? Will Denise be able to show Grace that she is a changed woman? Will these two women come together again after all these years, bonded by their love for The Sergeant’s Daughter? 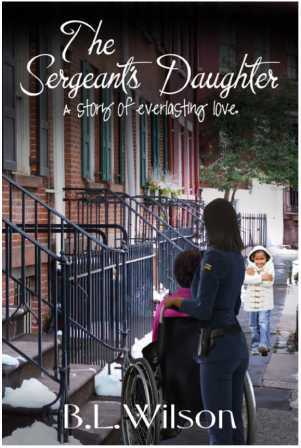 The Sergeant’s Daughter, a story of everlasting love is available for pre-order 9/19/18 on Kindle. The release date is 10/2/18. WHAT DOES PLEDGING ALLEGIANCE MEAN? When I was a kid, I really liked celebrating Columbus Day. The schools were closed on that day. Read more! HELP A SISTAH OUT! PRE-ORDER TODAY. LOVE STORIES FOR WOMEN OF COLOR ABOUT WOMEN OF COLOR BY A WOMAN OF COLOR.